This centre is ideally placed in an unrivalled location, offering a vibrant mix of business space, within an attractive parkland setting. The centre comprises a purpose-built office building, and provides high-quality open plan office suites available now on flexible terms to suit your needs. Situated between Edinburgh and Glasgow, this centre is well positioned for access to both cities. The railway stations serving the town make access quick and easy, and Edinburgh Airport is just a 15-minute drive away. Cycling in the area is great, with many routes, and there is also a swimming pool and a gym close by. Car parking is available, there is an on-site management team and the centre is accessible 24-hours a day. 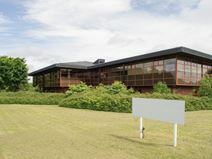 High quality office space available within the grounds of Livingston Football Club. Equipped with full reception support, additional meeting rooms and 24 hour access. This centre has fantastic access to both Glasgow and Edinburgh, and there are various bus stops within walking distance. Also nearby are many places to eat and drink, whether a business lunch is required or simply a morning coffee. On-site, there are kitchen facilities available, as well as parking spaces, air conditioned offices and IT support. The space can be accessed 24-hours a day, and has CCTV for peace of mind. Based just outside of Livingston, this space consists of over 15,000sqft of space in a mix of offices, workshops and storage units. There is a varied range of offices available, ranging from 100sqft right up to 1,860sqft. Tenants will benefit from ample parking, 24 hour access and flexible terms. The centre is just 35-minutes drive from both Edinburgh and Glasgow, and is a stone's throw from Livingston town centre. 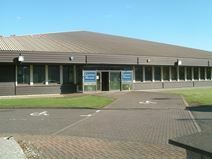 This serviced office space is on the outskirts of Livingston and also has access to two fully serviced meeting rooms. The area has a strong and vibrant business environment and provides good transport links to the rest of the country and further afield. Livingston Designer Outlet is nearby, ideal for some retail therapy, and the town has a range of places to eat and drink, as well as a good choice of hotels. Within the attractive landscaped Kirkton Campus of Livingston, home to companies including Konica, Intelligent Finance and WL Gore is this modern office building that provides a range of offices in various size. Design is flexible for your own requirements. Edinburgh Airport is around 15-minutes away, ideal for international travel, and the city centre is less than 20-miles away, full of famous landmarks and attractions. 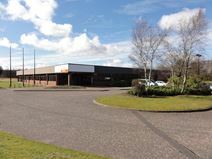 Fully managed office and workshop space available within the Kirkton Campus, Livingston. The centre is based within lush greeney and mature landscapes and offers 15,000 sq ft of space. The centre has amply parking, breakout space and 24hr access. Close to Livingston town centre, with a range of nearby amenities. Easy access to the M8 motorway and the proximity of Edinburgh airport ensure excellent transport links. Situated in the heart of Livingston with quick access to both Livingston North and Livingston South train stations, this centre provides serviced office space on a flexible month-by-month basis and have spaces available from 130 sq. ft. up to 3,000 sq. ft. Available unfurnished or fully furnished these offices cater for a range of business types and needs. Just a short distance away from Livingston town centre this location is easily accessible from the M8, making it ideal for those commuting by road.